I’m delighted to announce that a new selection of material from the collection of Echoes of Service has been digitised, and is now available for access online. 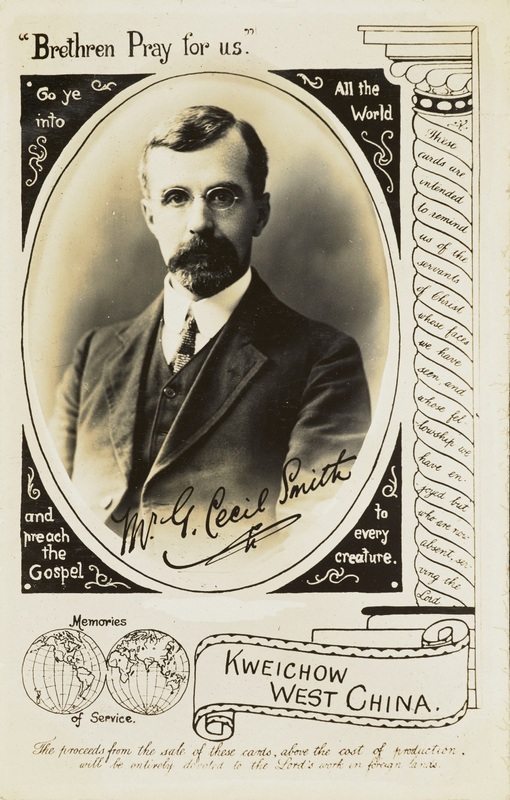 This material includes early editions of the mission work magazine entitled Echoes of Service from 1872-1918, and a series of postcards featuring pictures of mission workers from the late 19th and early 20th centuries. 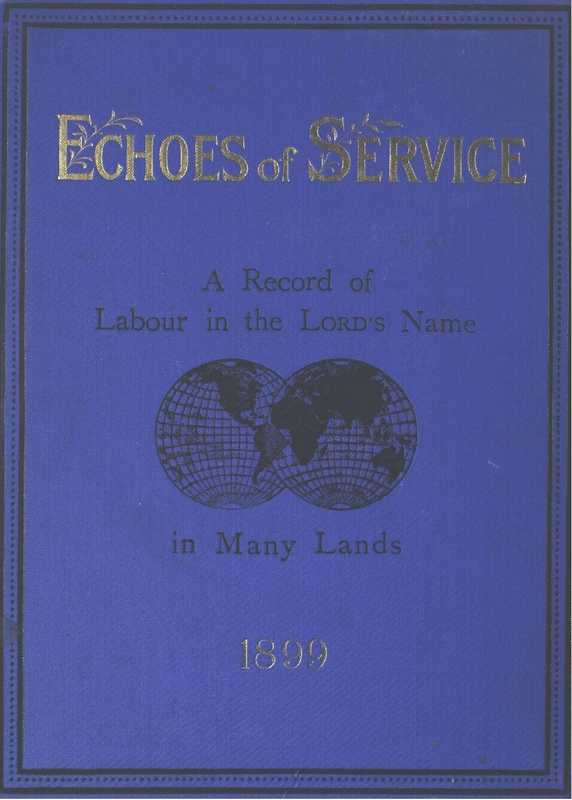 Initially published under the title of the Missionary Echo in 1872, the magazine was intended as a forum for the letters of mission workers around the world, detailing their experiences, challenges and success in planting and maintaining churches and assemblies. 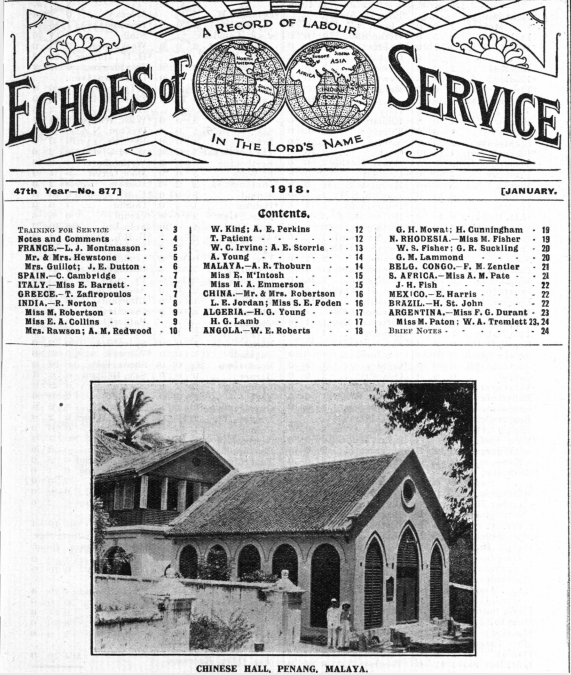 In 1885, the name of the publication was amended to Echoes of Service, and it continues to be published monthly, now under the title of Echoes International Magazine. The letters and reports contained within are divided into different countries and continents, and an index of contributors is provided for each journal. Also featured are articles on evangelism and preparation for ministry work, and occasionally, in later volumes, photographs of the work undertaken, including the running of schools and mission stations. Despite the high percentage of the brethren who become mission workers, tradition dictates that autonomy is maintained by individual assemblies. This emphasis on eschewing centralised organisation and control often presents challenges for overall study of their accomplishments, and their contribution to mission activities. Echoes of Service therefore provides an invaluable forum, compiling a fascinating history of collective experience and influence. The organisation evolved to become a conduit for mission workers to maintain contact with the brethren assembly to which they belonged, and as a means by which to receive the financial support. The postcards collection is an equally interesting example of the kind of advocacy undertaken by Echoes of Service. They feature a picture of the mission worker, the date which they departed to undertake their work, and the city, town or country in which they are working. 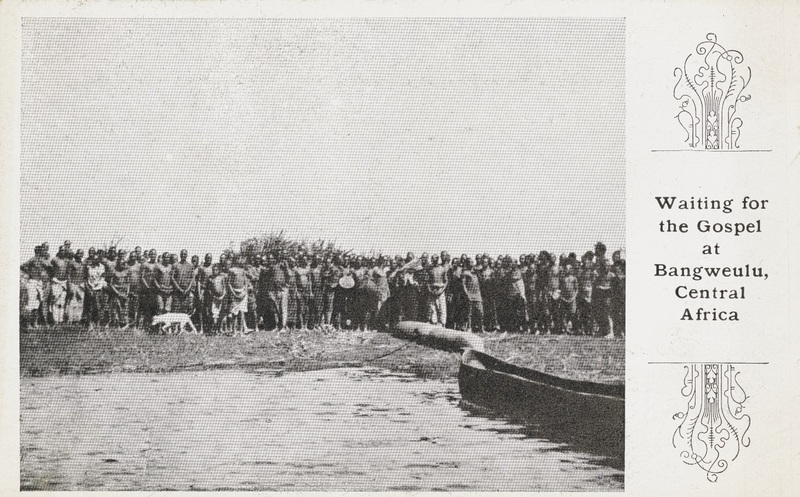 The postcards are intended for sale, as the script along the bottom states that ‘the proceeds will be devoted to the Lord’s work in foreign lands’. There is a belief prevalent in the brethren of the importance of living by faith, and trusting that the necessary funds will be provided. The links with assemblies, fostered by Echoes of Service, must have proved to be invaluable in ensuring that this was the case. 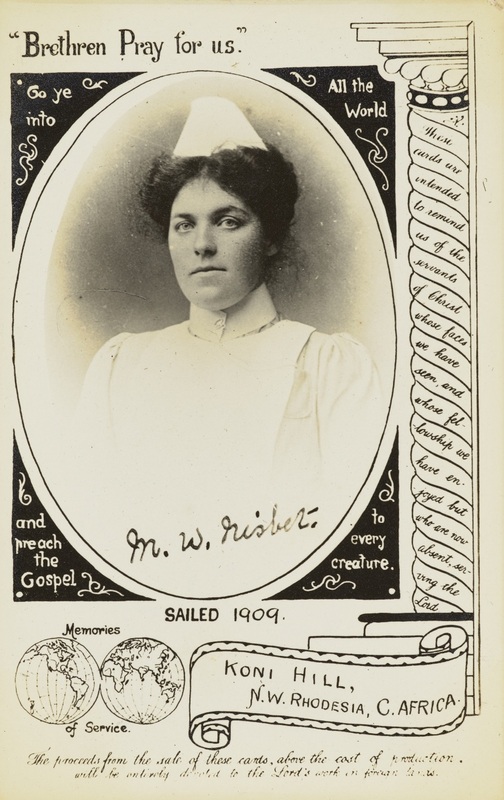 There are examples of memorial postcards for brethren mission workers who passed away whilst abroad. Also featured are depictions of groups of mission workers, families, married couples and images of villages and schools. The postcards include crowds waiting to hear ministry, and also activities such as the administration of vaccinations. The series of postcards entreats that the ‘brethren pray for us’, and they act as a very effective visual reminder of those in distant lands in the service of the brethren faith. Access of all of these resources can be found at the Manchester Digital webpages. Special thanks to the Library’s Digital Technologies and Services department, and to the Heritage Imaging team for their invaluable work on this project. Please follow this link to access Echoes of Service, and click here to access the postcard collection.